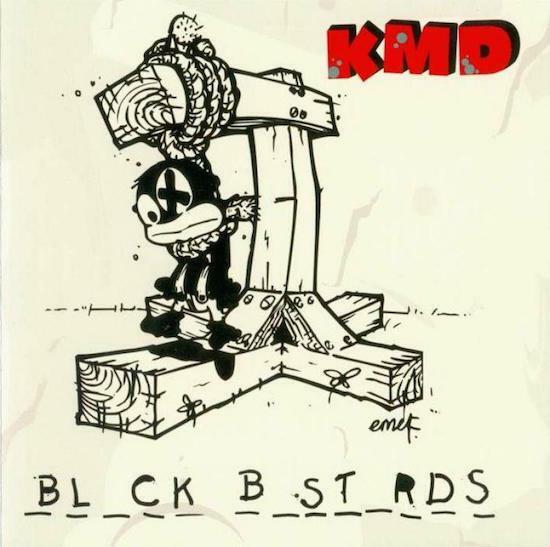 Although better known (if at all) for its provocative sleeve, there is no denying that KMD's Blck Bst_rds is one of the great lost hip hop LPs. The follow up to KMD's (also ace) debut Mr Hood was due to be released in 1994 by Elektra but the label baulked at the last minute due to the provocative cover art. Thanks to the efforts of KMD's Zev Love X (now more commonly known as MF Doom) the album eventually got a limited indie release in 2000 but it pretty much sank without trace. However its rep only grew with Ego Trip's Book Of Rap Lists declaring it the "most notable rap album of all time". Now it's seeing a wider reissue in the form of a double CD release which features a second disc of previously unavailable instrumentals plus rare tracks and remixes. This comes after the album was released in the US as part of this year's Record Store Day schedule which saw it made available in a pack containing a 7", single CD and book. This latest reissue will be available from August 14.